Traveling to Nepal? Get answers to all your questions, from the best time to visit to the ins and outs of teahouse trekking. Much of the information here relates to trekking (given trekking in the Himalaya is a new experience for most people), but you'll also find answers to practical questions about visas and domestic transport. When's the best time to visit Nepal? The peak seasons for trekking are the spring (Mar to May) and the fall (Sep to Nov) when you'll have clear skies and superb mountain views. Keep in mind, this is also when the trails are most crowded (although there are ways to avoid the crowds). The winter (Dec to Feb) and summer (Jun to Aug) months are also great times to visit—although weather can be unpredictable, these months offer a unique experience and fewer crowds. For Chitwan (Nepal's southern jungle region), winter is the best time to visit when the temperatures are pleasant and the foliage less dense to allow for better wildlife sightings. Check out our article on the best time to visit Nepal. What's it like during the monsoon season? During the monsoon season (Jun to Aug), most of Nepal experiences heavy rain for a few hours each day. It's humid, wet, and the trails in the lower regions (Ghorepani, Ghandruk, Langtang, etc) can be quite muddy. That being said, it's still a great time to visit if you don't mind the rain — you'll have the trails to yourself, the skies often clear up in the morning, and certain treks offer stone-paved trails that drain the rain and make for easy trekking. Also, certain regions, like Mustang and the upper reaches of Everest, lie in the rainshadow of the Himalaya and receive little rain. What's the difference between private and group trips? Private trips are tailor-made itineraries built around your travel dates and personal interests, whereas group trips (which is what most tour companies offer) are pre-packaged and depart on specific dates. Group trips are also open for others to join, whereas private trips are just for you. At kimkim, our specialty is putting together private tours, as we believe this is a more meaningful and rewarding experience. How do I get my visa for Nepal? For most nationalities, you can get your visa on arrival in Kathmandu. It takes around 45 minutes and is the most convenient way to get your visa. You can also apply for a visa in advance from a local Nepali consulate in your country if you'd like to have everything arranged in advance. How much luggage can I take on domestic flights? How many days should I spend in Nepal? If you're mainly looking to experience Nepal's cultural and natural highlights, you can have a great experience in 5-7 days, where you can visit two regions (likely, Pokhara and Kathmandu). To get into the Himalaya on a multi-day trek, you'll want at least 10 days to have enough time to reach higher altitudes and safely acclimatize. To undertake one of the longer, classic treks in Nepal or to combine multiple regions and activities into one visit, 14-20 days is ideal. Check out our article on how many days to spend in Nepal. Are hotels included in the trip price? Our specialists organize complete tours, meaning everything is taken care of from the moment you arrive in Nepal to the moment you leave, including all of your accommodation. We recommend letting the specialist organize your accommodation, as this saves you time and they know the best places to stay based on your style, budget, and preferred neighborhood—just let them know your preferences. That being said, you can organize your own hotels, as well, and let your specialist know you're organizing them on your own. Are there any extra expenses not include in my trip price? Personal expenses (tips, soft drinks, bar bills, laundry, telephone calls, donations, and extra snacks, etc) are not included in your trip price. If you're going trekking, the only things you'll need to pay for out of pocket are wifi and battery charging (when available), extra meals outside of what's included, alcohol, and soft drinks. You can bring your own light-weight sleeping bag from home or you can rent one in Kathmandu (which your specialist will help you with). Most teahouses also have blankets you can use; in the warmer month, you may just want a sleeping bag liner to use with the blankets, and in the colder months, you'll want a warmer winter sleeping bag. Are permits included in the price of the trek? Yes. All of the necessary permits for your trek are included in the price and will be arranged for you prior to your trek. For certain restricted regions (like Manaslu), you'll need to have a full day in Kathmandu prior to your trek as your specialist will need your passport for the permit registration. What date does the trek start? Your trek starts on the date that works best for you, given all of the tours our specialists organize are tailored to your travel dates. Typically, you need at least 1-2 days in Kathmandu prior to your trek in order for your specialist to organize the necessary trekking permits. Where can I store my luggage during the trek? You can leave your additional luggage at your hotel in Kathmandu or at the company office of your specialist. Either way, your luggage will be waiting for you at your hotel when you return back from your trek. What trekking gear should I bring from home? You can buy virtually everything you need for trekking—from down jackets to water bottles—in Kathmandu. There is a variety of authentic name-brand store as well as a large selection of knock-off products that are fairly good quality. It's still worth bringing your own gear if it doesn't take up too much weight, especially your own trekking boots to avoid any potentials issues when purchasing new shoes. Here's a full list of what to pack for your trek. You should bring trekking boots that are comfortable and broken in. Especially when crossing high passes, there can be some snow so it's good to be prepared for a variety of conditions. Your footwear doesn't need to be warm but should be strong and durable. It should have a chunky sole—preferably made of Vibram or another durable material—and should also protect your ankles. There are a variety of styles available at any outdoor store made of leather or synthetic materials, so it's really up to you what's more comfortable. How much should I tip the guide and porters? Tipping is not required but is expected, and really depends on how happy you were with the service. Guides (both for trekking and cultural tours), porters, and drivers are typically provided with a tip at the end of your service with them. Here's everything you need to know about tipping along with suggested amounts. Classifying the difficulty of a trek is somewhat tricky, as it depends on your fitness and experience hiking in the mountains. In the Himalaya, a trek's difficulty depends on the steepness of the trail, the general altitude, and the duration of the trek. Generally, the higher you go the more difficult the trek becomes. For most treks in the lower foothills (Ghorepani, Ghandruk, and Pikey Peak), it's fairly moderate trekking, although some days will be more challenging than others. For higher-altitude treks (Everest Base Camp, Gokyo, Annapurna Circuit and Nar Phu), the treks become more challenging as you'll be going over 5,000m passes and longer days. Teahouse trekking refers to staying at a small local lodge or mountain hut each night of your trek. The lodges are basic and consist of 5-10 rooms with a common area used for eating and hanging out. Most treks in Nepal are teahouse treks where the lodges are run by members of the local community. To see what teahouses are like, check out our article on teahouse trekking. Most days in the mountain involve 4-6 hours of trekking. When you consider your day starts at 8 am and ends around 4-5 pm, it's not too arduous as you'll be taking a number of breaks and stopping for lunch along the way. 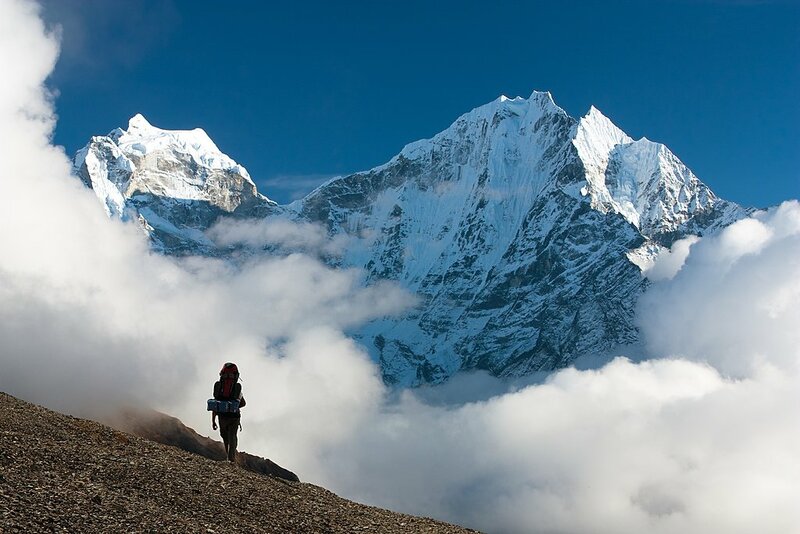 The higher you get in elevation (especially in the Everest region), the shorter your trekking days will get to ensure you don't gain altitude (and thus altitude sickness) too quickly. You'll carry your daily essentials (sunblock, water, hat, light jacket, and camera) but your porter will carry the bulk of your gear, such as extra clothing and overnight essentials. Porters are especially helpful for longer treks where you'll be carrying more gear. For shorter treks (2-3 days), you may opt just to have a guide if you're comfortable carrying your own gear, but hiring a porter is a great way to support the local economy and is quite affordable. How much can porters carry? Porters typically carry up to 30 kg. max. (to ensure they're not overloaded). For fragile items, such as cameras, it's still best to carry these items yourself. If you have more than 15 kg., please carry the extra weight in your day pack. In the commercial trade, when transporting goods and supplies up into the high mountains, some porters carry up to 100 kg. and get paid less than a fair wage provided by a responsible trekking company. What is the ratio of guides & porters to group size? There is normally one guide for every five people. Greater than five, an assistant guide will likely join the group and will stay back with slower walkers in case the group splits up during the day. For porters, there is one porter to every two trekkers. The local trekking guides our specialists work with are often born and raised in the regions you're trekking through and have grown up in the mountains. Most often, they'll have started in the business as a porter, then graduated to a cook's helper, then to an assistant guide, and finally to a fully-certified guide who has completed a four-week guide training course organized by the Nepal Academy of Tourism and Hotel Management (NATHM) and the Trekking Agencies’ Association of Nepal (TAAN). Learn more about the local guides our specialists work with. Do the guides speak English & have first aid training? All of the guides our specialists work with speak fluent English and have many years of experience in guiding foreign travelers. It's a requirement that they all are trained in first aid as well as carry a first aid kit with them during the trek. What is the usual group size for this trek? For group treks (treks that start on a specific date and are open for travelers to join), the group size can range from 2-10 people but typically ends up being around 4-6 people. 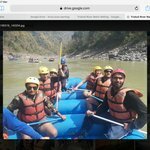 What happens if I fall ill during the trek? If you fall ill during your trek, the course of action depends on what's wrong. If it's altitude sickness, moving to lower altitudes and taking altitude medication will solve most cases; if it's quite severe, your guide will arrange for an emergency evacuation by helicopter (be sure that emergency helicopter rescue is covered in your travel insurance). If you have a stomach sickness or other types of food or water-related illnesses, your guide will have medication on-hand for most common illnesses. When do I meet my trekking guide? You usually meet your trekking guide once you're in Kathmandu. You'll have a full briefing on the trek at the start of your trip where you'll meet your guide, be able to ask questions and receive all the information you'll need for the trek. Sometimes due to logistical restraints, your guide may also meet you at the airport for the flight to the beginning of your trek.